Olga Zhitlina, Andrei Yakimov (human rights consultant, concept development), Olga Zhitlina (idea, concept development), Alexander Lyakh, Galina Zhitlina (board game design), David Ter-Oganyan (drawings), Tatyana Alexandrova, Nadezhda Voskresenskaya (graphic design), players. The Land of Opportunity is a board game the goal of which is to understand the way of life, the fate and the obstacles to which immigrants are subjected. Every fact and situation in the game is real. Thousands of immigrants arrive every year in the Russian Federation from the Soviet Central Asian republics. 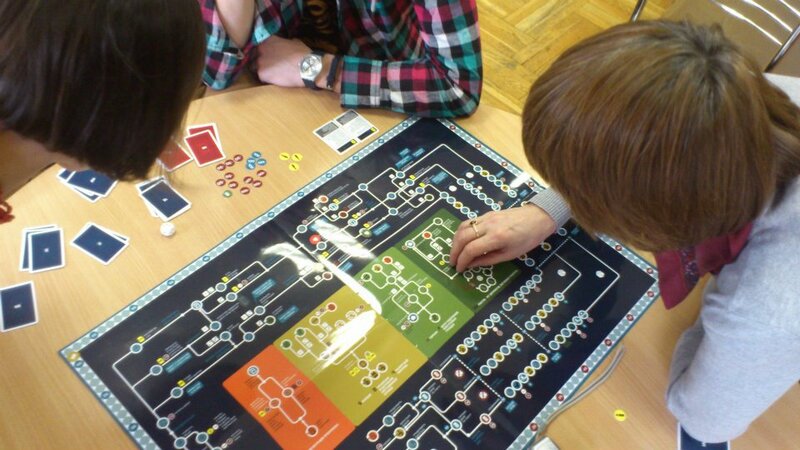 The game is suitable for both adults and children of secondary school age. Only by describing the labyrinth of rules, deceptions, bureaucratic obstacles and traps that constitute the immigration of contemporary Russia can we get an overall picture of how one can operate within this scheme and what needs to be changed.